The Department of Veterans Affairs created the Center for Verification and Evaluation (CVE) to reduce the number of businesses that were fraudulently claiming Veteran status, as well as protect the competitive edge that Veteran small businesses VA set-aside contracts provide to the Veteran-owned small businesses. Small business owners who wish to pursue VA set-aside procurement opportunities must be verified as a service-disabled Veteran-owned small business (SDVOSB) or Veteran-owned small business (VOSB) by the CVE. The verification program has a strict and rigorous process to ensure businesses are in fact owned and controlled by a Veteran, or multiple Veterans. To assist firms interested in applying for verification, CVE has established a Verification Assistance Program which includes verification assistance briefs, fact sheets, and FAQs, covering every aspect of regulation CFR 38 Part 74 and the verification process. You can find it all on the VA’s website. CVE has developed a partnership to grow and sustain an inventory of verification assistance counselors. Referred to as CVE Certified Verification Assistance Counselors, these individuals provide “no-cost” assistance to Veterans throughout the verification application process. Counselors are located nationwide, and only those listed on CVE’s website are provided continued training and support, and endorsed by CVE. Veterans have reported paying as much as $20,000 for similar services. Through CVE, these services are free. Verification Counselors listed on our website have been trained by the Department of Veterans Affairs through the Office of Small and Disadvantaged Business Utilization. 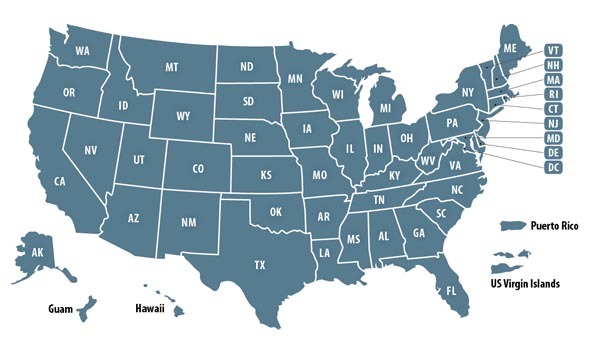 For convenience, Counselors are listed by state. However, Veterans are encouraged to contact any Counselor that is accessible to them, not just those listed in their home states. CVE is highly supportive of the Verification Counselor program as this program provides a valuable service to Veterans who are going through the application process. CVE provides responses to counselor inquiries as a means to inform applicants about the Veterans First Contracting Program. However, 5 CFR § 2635.702(c) prohibits agency endorsements of any product, service or enterprise. Accordingly, CVE’s resources are not available to certified verification Counselors who are currently accepting fees for their counseling services. CVE will not provide training, inquiry responses and other resources to paid Counselors. CVE Certified Counselors found to be charging a fee will be removed from the VETBIZ website. CVE will continue to support PTAC and Veteran Partner Organizations (VSOs) that do not charge a fee. Click here to find a counselor near you. Be sure to add your business’ profile to the Veteran Owned Business Directory. Once verified and approved, your profile will join nearly 22,000 other VOBs/SDVOSBs and be immediately searchable by 1,000 of daily visitors! Next Article Today, March 30th, We Observe Welcome Home Vietnam Veterans Day!